I was elected Chair of the Soil Association, Britain’s pioneering organic food and farming not-for-profit, in 2001. We work to educate the public, particularly children, about the advantages of sustainably-produced wholesome food. We consult with government, business, other NGOs and with the food industry to advance understanding and support for organic food and farming. We created the first organic food standards and offer a certification service to food producers and processors. We have also created organic standards for aquaculture. health and beauty products, textiles and agricultural inputs. I stood down in 2007 and handed over to Orna ni-Chionna (Lady Turner) who has been doing a great job since then. In 2015 she handed over to Dennis Overton. I took over as chair of Soil Association Certification Ltd and stepped down in 2009. I continue to be a director. 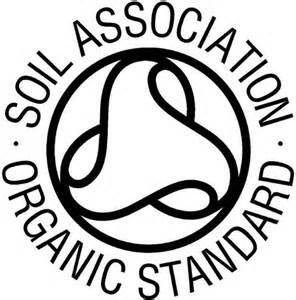 Soil Association Certification ensures the authenticity and integrity of organic products worldwide. Through its "Woodmark" FSC-certified forestry certification, it also ensures that forest products are produced sustainably and without any net deforestation.